Gives even toned beautiful skin and makes your skin bright and keeps your skin smooth soft and clear. 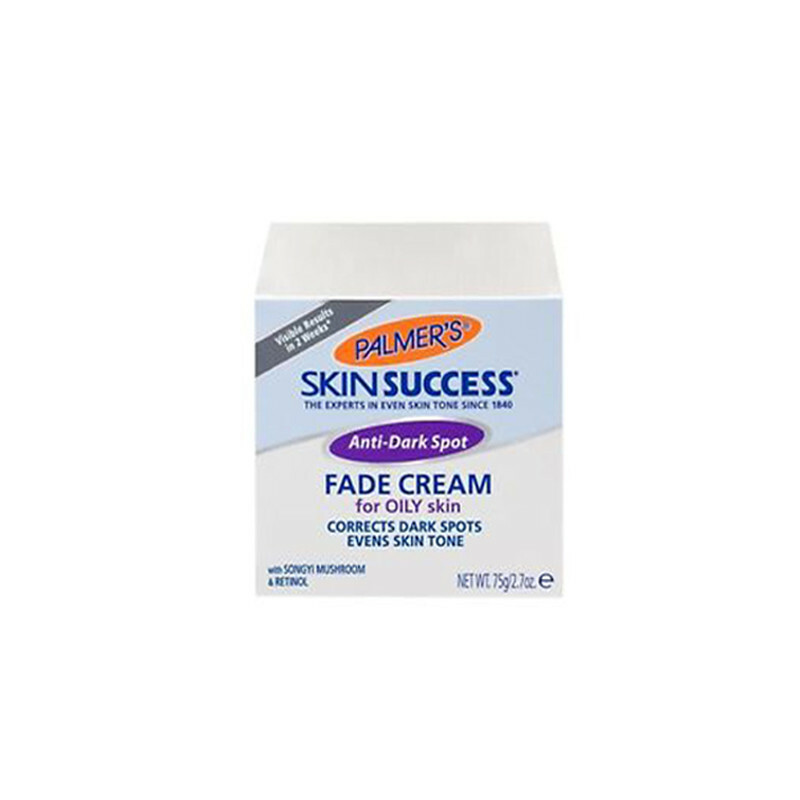 Palmers Fade Cream is a tone correcting fade cream that effectively lightens the appearance of dark spots and discoloration, leaving skin more luminous and evenly-toned.correcting discoloration such as: Dark Spots, Age Spots, Post-Acne Scars, Uneven Skin Tone. Uniquely formulated to leave a matte finish and control oiliness. Light enough to wear under makeup. Contains sunscreen to help protect skin from daytime sun damage.